This activity aims at development of various YANG and NETCONF tools allowing us to have full remote control on devices and software we develop. We develop the complete stack of the necessary tools from YANG parser and NETCONF transport library to a modular NETCONF server and various NETCONF clients. The original libnetconf is based on libxml2 and its source codes are available from GitHub. Currently, we are working on development of libnetconf2, based on libyang library instead of libxml2. It rapidly improves perfomance characteristics – increases the processing speed and decreases memory consumption. libnetconf2 is also available at GitHub. The goal of a Netopeer client is to create an Apache web server module providing NETCONF functionality. The other part of Netopeer client will be able to generate a simple web user interface according to the device configuration data model. For NETCONF controlled devices the configuration data models are provided in the YANG format, which is developed by IETF’s NETMOD working group. Following such a configuration data model, the user prepares any configuration changes of the specific device and will then be able to pass their request from the web interface via a Netopeer Apache module to a NETCONF server and the operated device. 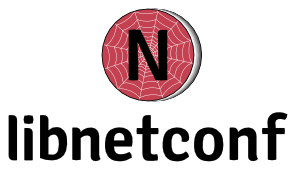 As a last piece of puzzle we develop web-based NETCONF user interface to manage NETCONF devices. 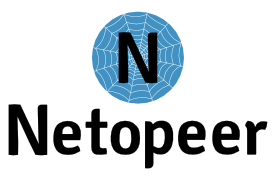 Netopeer2GUI is written as Angular5 frontend with Flask (Python3) backend providing connectivity to NETCONF devices. 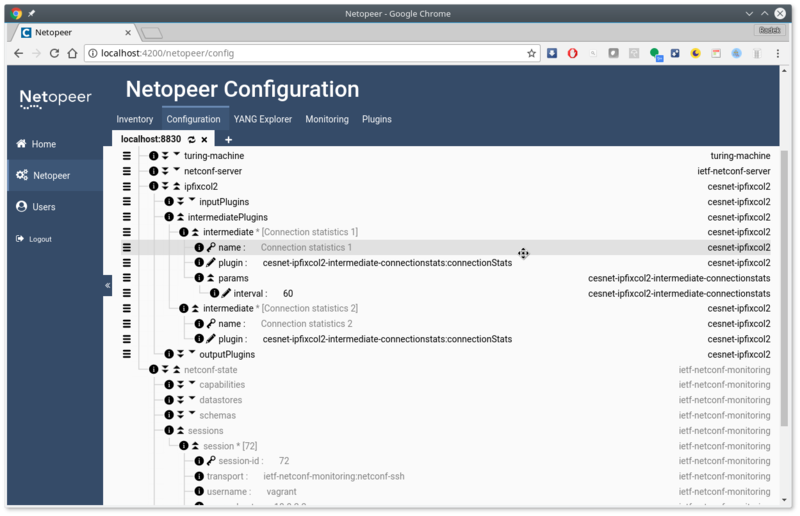 Besides manipulation with the device configuration data, the application is supposed also to provide NETCONF Notifications, allow user to browse through the YANG schemas or serve as a server for NETCONF Call Home. Another interesting feature is an API to create schema-specific modules to provide specialized interface to perform specific configuration changes in more user friendly way. Netopeer2GUI is available from its GitHub page.